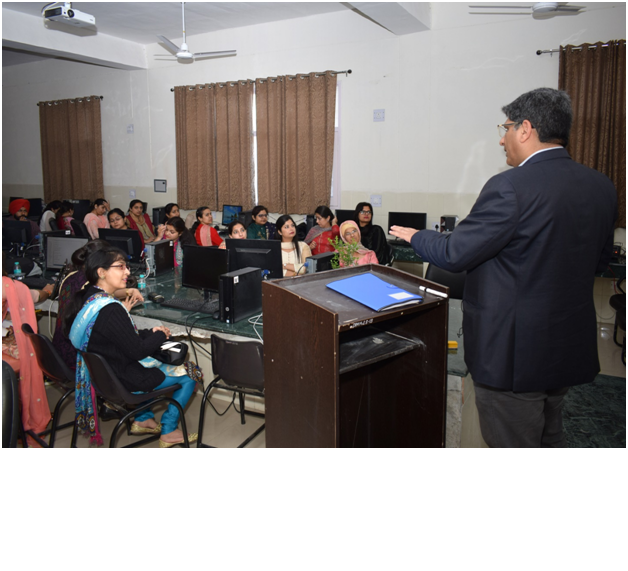 The Post-Graduate Department of Commerce and Business Administration, Khalsa College, Amritsar organized a Faculty Enrichment Programme sponsored by UGC on Statistical Techniques using STATA on 25th March, 2019. DR. Sunil Kumar (Professor, Faculty of Economics from South Asian University, New Delhi was the resource person in the programme. 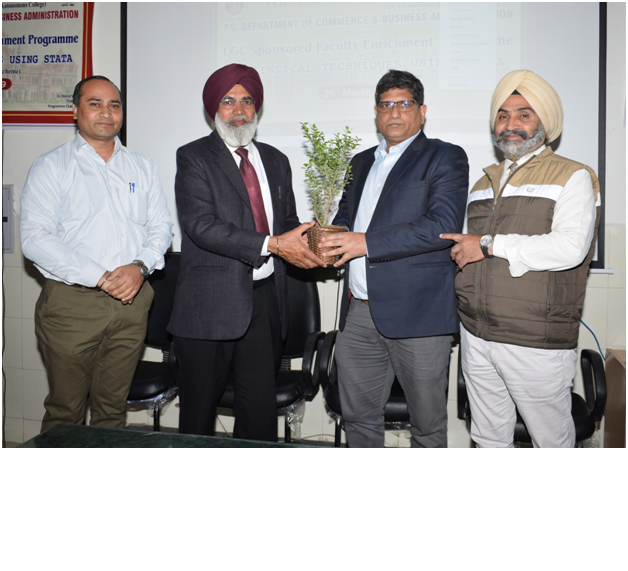 The programme was planned and executed under the supervision of Dr.Mehal Singh (Principal and programme Chairman) and Dr. J.S. Arora (Dean & Head, programme Director), PG Department of Commerce & Business Administration, Dr. Ajay Sehgal (programme Coordinator).The primary objective of the programme was to provide practical training to the participants about the application of statistical techniques through STATA.